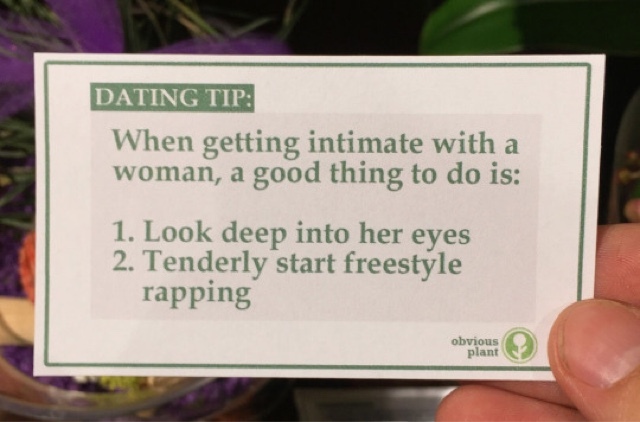 A set of dating advice have gone viral after a hilarious poster shared them online. 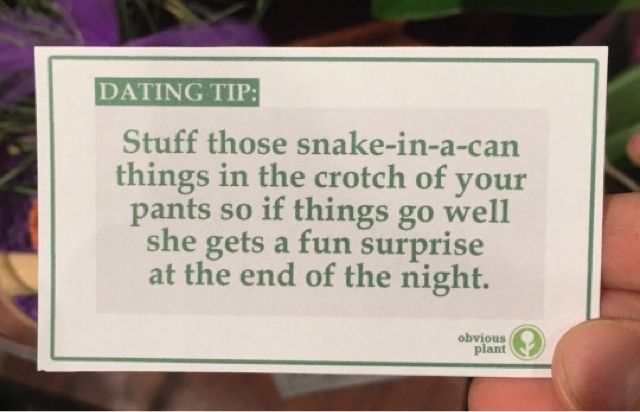 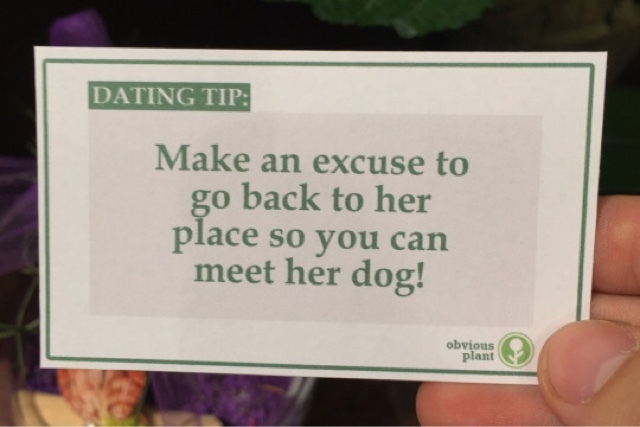 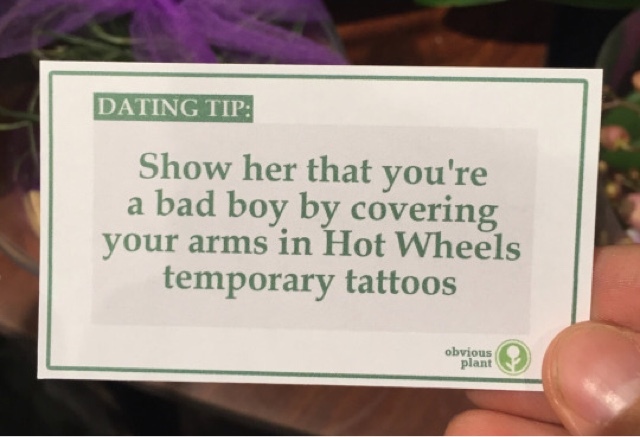 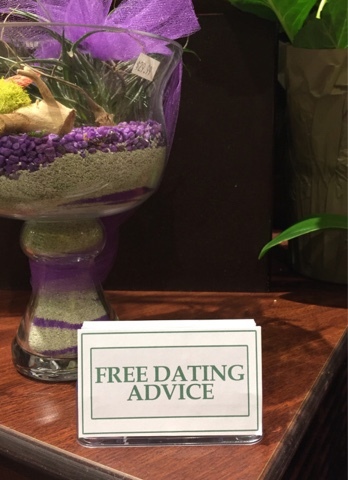 Imgur user obviousplant shared his own list online with the title: "Free dating advice left in the floral department of a grocery store". 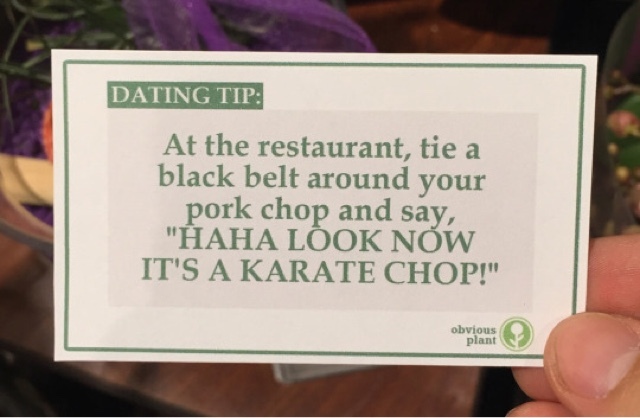 It is a comprehensive list and they've been a hit online, with commenters saying, 'You're such a prankster!' 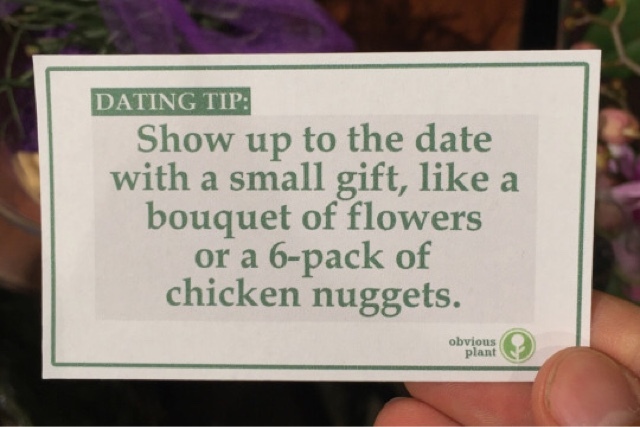 and 'Bless you obviousplant big fan'.